When working on your bathroom or kitchen remodeling project, keep us in mind for materials and service! Are you starting a new bathroom remodeling or kitchen remodeling project in Redwood City, CA? 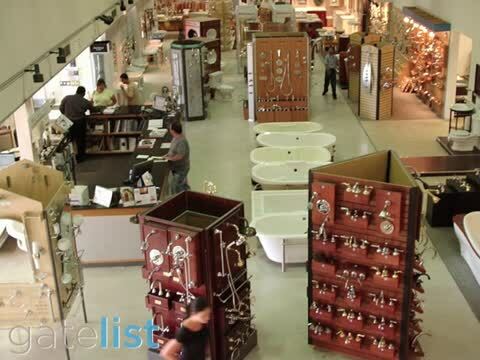 Stop by Plumbing n' Things, San Mateo County's finest luxury kitchen and bath supplies outlet. You'll be amazed by the variety of fixtures to choose from. With over 30 years of experience and knowledge behind them, Plumbing N’ Things provides San Mateo residents with luxury kitchen and bathroom accessories. As a leading resource in kitchen and bath supplies for Redwood City, CA, Plumbing N’ Things is equipped with the finest brands for both bath and kitchen remodeling. We also boast an exceptional selection of plumbing supply products that you're not likely to find anywhere else. We Offer Kohler Toilets and Bathroom Accessories! Renowned for our personalized customer service, as well as our competitive prices and superior selections, Plumbing N’ Things of San Mateo County offers a diverse and delightful collection of kitchen and bathroom products. When you stop into our showroom, you'll see over twelve thousand square feet of bathroom accessories, plumbing supplies, and more. Whether you are looking for an array of kitchen faucets to make sure you chose the right one or you are looking for a broad selection of Kohler toilets to match your old decor, Plumbing N' Things is the retail outlet to visit! We sell a wide range of top-quality plumbing supplies, kitchen faucets, Kohler toilets, and other bathroom accessories. If you are remodeling your kitchen or bathroom, we can supply the finest products at the most competitive prices. We serve both residential and commercial clients in Redwood City, CA and the surrounding areas. We carry products from many of the best manufacturers in the market. Stop by our plumbing supply store today for Kohler toilets, remodeling supplies, and more! Are you looking for that new kitchen to test out your home chef skills for the family? With a wide variety of kitchen remodeling projects under our belts, we can create the kitchen of your dreams. From kitchen faucets to appliances, we offer it all to make residents of Redwood, CA kitchen fantasies a reality! Is it time to turn that bathroom remodeling project in to a reality? Trust the professionals at Plumbing n' Things for bathroom remodeling and plumbing supply services. From Kohler toilets and bathroom faucets to bathroom accessories, we provide the finest to residents of Redwood City, CA. As the premier bathroom remodeling and kitchen remodeling provider in Redwood City, CA, our staff will ensure you will have a smile on your face by the end of your project. We assure that you will walk out of the store with the accessory your home remodeling project is missing. Plumbing N’ Things caters to a diverse plumbing supply clientele, commonly working with local San Mateo bathroom remodeling contractors, designers, architects, plumbers, as well as the Bay Area retail community. We certainly have a foot firmly planted within the local economy. You should always buy local when you are looking for new fixtures such as kitchen faucets or Kohler toilets. Supporting local shops improves the economy and starts a positive chain reaction. Make sure to choose us for your decorative plumbing needs! Whether you’re looking to embark on a bathroom remodeling project, build a custom home from the ground up or simply replace a bathroom component with one of our premium Kohler toilets, Plumbing N’ Things has it all ready and waiting. Our superior plumbing supply store offers a number of major brands such as, Rohl, Grohe kitchen faucets, Ginger bathroom accessories and Kohler toilets. Visit Us Today for Plumbing Supply, Kitchen Faucets, and More! When you're bored of that same old kitchen or bathroom, give the experts at Plumbing n' Things a call. We provide the finest in bathroom remodeling and kitchen remodeling services. We offer everything from Kohler toilets to kitchen faucets, as well as other bathroom accessories. We are the premier plumbing supply company in the Redwood City, CA area! If you are working on a DIY project, our plumbing supply store can help you. We carry a wide range of supplies for residential and commercial needs. In addition to plumbing supplies, we also sell bathroom accessories, kitchen faucets, and more. We take pride in stocking high-quality products like GROHE kitchen faucets and Ginger bathroom accessories. If you live in or around Redwood City, CA, visit our plumbing supply store to find everything you need. The next time you’re struggling for that perfect component to embed in a beautifully designed home space, stop by Plumbing N’ Things located in Redwood City, CA. Our professionally trained staff carries a passion for home design and takes pride in working with each customer to help complete any kitchen or bathroom remodeling project. Visit us today for quality plumbing supply or bathroom accessories! Proudly serving Redwood City, CA.